Meet us at China (Shenzhen) International Logistics and Transportation Fair (CILF) Shenzhen 2019 (10-12 October) and at the China International Import Expo (CIIE) in Shanghai (5-10 November) 2019. 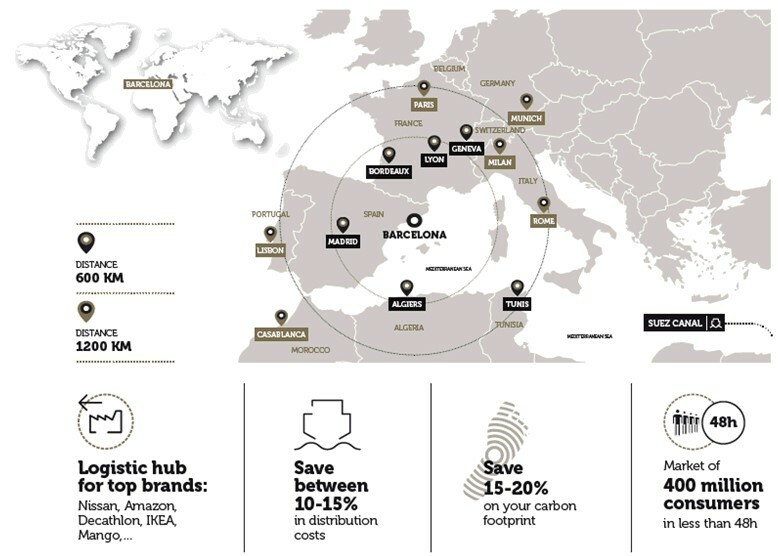 Barcelona, your advanced logistics platform to access the European & African / Mediterranean markets. The best area in southern Europe to find industrial and commercial partners. Innovation & technology advanced solutions for the logistics sector. "From our offices and labs in Barcelona, one of the 7 we operate in Europe, we provide our services to industries across Europe. The leading role of Barcelona in Europe's automotive, pharma and agrofood industries makes it the best location in the continent for our services". Mr. Zhou Min , General Manager CHINA CERTIFICATION & INSPECTION GROUP CCIC EUROPE-TESTING S.L. BARCELOC is a business-oriented public service, offering customized and tailor-made orientation on your potential investments in Barcelona/Catalonia. The service is free-of-charge and rendered neutrally and confidentially.